The device comes in two variants, one WiFi only and the other with both WiFi and LTE. It also comes with different storage and RAM variants. 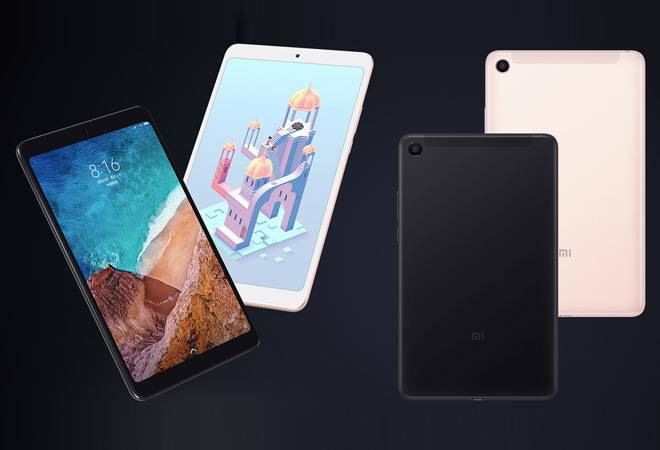 Xiaomi has launched its next generation Mi Pad 4 with a considerably powerful chipset. The new Mi Pad comes with an 8-inch screen which Xiaomi claims can be used with a single hand. The device comes in two variants, one WiFi-only and the other with both WiFi and LTE. It also comes with different storage and RAM variants. The 3GB RAM,32GB storage variant is priced at CNY 1,099 (roughly Rs 11,500). The 4GB RAM/64GB storage variant is priced at CNY 1,399(roughly Rs 14,600); both these variants are WiFi-only. The 4GB RAM, 64GB storage option will also come with LTE at a premium of CNY 1,499 (roughly Rs 15,600). The device will go on sale on June 29. Coming to the specifications of the device, Xiaomi is placing a Snapdragon 660 chipset with the new Mi Pad 4. The tablet doesn't have a MicroSD card slot to expand the memory on the device. The 8-inch display comes with a resolution of 1920x1200 and 16:10 aspect ratio. The display yields a pixel density of 283ppi. The camera on the Mi Pad 4 is a 13megapixel unit with f/2.0 aperture. The front panel houses a 5megapixel sensor with f/2.0 aperture. The tablet comes with an AI face unlock feature as well. In terms of connectivity, the device comes with a single SIM slot (nano), Bluetooth 5.0, 3.5mm headphone jack, USB Type-C and Wi-Fi 802.11 a/b/g/n/ac (dual-band, 2.45GHz and 5GHz). Only the LTE variant gets GPS and A-GPS options. The Mi Pad 4 comes with substantial 6000mAh battery and weighs-in at 342.5gms. The measurements come in at 200.2x120.3x7.9mm.